Comedy Fundrasier in Lancaster ! TV Pilot Taping in Hesperia, CA! Rosie Tran on "The Roy and Jimmy Thing" Show ! THE SECRET COMEDY CLUB follow the social media for address and secret password @thesecretcomedy 8:00pm in $20 Cover / $10 cover with password , No Min. 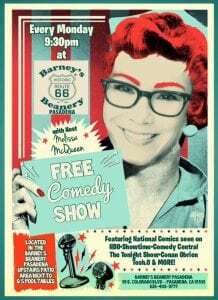 Comedy Gumbeaux 8 Year Anniversary Show!